Born in Jamestown, Missouri, in 1928. Heyssel attended the University of Missouri and graduated from the St. Louis University School of Medicine in 1953, with an honorary doctor of science degree. Upon finishing two years of residency he spent 2 years (1956-58) as a Commissioned Officer in the US Public Health Service in Japan at the Atomic Bomb Casualty Commission (ABCC) in Hiroshima. He served as Head of the Internal Medicine clinic at a time when ABCC diagnosed and treated cases with leukemia caused by high radiation doses from the A-bomb. In the course of his stay, he and his associates reviewed all the leukemia cases, and published the first report using newly available dose measurements. He returned to Washington U for an additional year of Fellowship working under Carl Moore. In 1959 he joined the Vanderbilt faculty with appointments in Medicine (Hematology) and Nuclear Medicine, where he was Co-Director of the Nuclear Medicine Division with George Meneely in the conduct of Hematology, body composition and metabolism studies. Bob investigated new tracers for labeling platelets. He used Fe-59 to study red cell metabolism and lifespan using whole body counter, and blood sampling data. Dietary requirements for Vitamin B12 were established by measuring absorption and turnover of Vit. B12 with the whole body counter. Meneely left in 1962, and In 1964 Randy Brill joined Bob as co-Director of the Division. Imaging studies expanded and computer modeling of iron kinetics expanded in collaboration with colleagues from Engineering. Studies of reticulendothelial function in normal and diseased states were done in collaboration with the infectious disease colleagues. In 1968, Bob was recruited to Johns Hopkins by David Rogers (new Hopkins Dean, and former Chair of the Vanderbilt Medicine Department), wherre he had an illustrious career. The Hopkins Gazette notes that: “Heyssel came to Hopkins in 1968 as associate dean of the School of Medicine and director of outpatient services, was named executive vice president and director of Hopkins Hospital in 1972, its president in 1982, and president and CEO of the Health System 1986. He made major acquisitions and mergers, and launched both The Johns Hopkins Health System and the Johns Hopkins Health Plan, moving the institution into the world of managed care with a base of corporate clients, government contracts and tens of thousands of members. He created the Johns Hopkins Medical Services Corp. to retain control of the provider side of the enterprise when the plan was sold. Under his leadership, Hopkins acquired the failing Baltimore City Hospitals, expanding it into the centerpiece of the Hopkins Bayview Campus, home today to a completely renovated and expanded medical center, a Geriatrics Center, a biotechnology development center, the Hopkins Asthma and Allergy Center, and the clinical branches of two NIH Institutes. He served as chairman of the Association of American Medical Colleges and its Council of Teaching Hospitals and of the Commonwealth Fund Task Force on the Future of Academic Health Centers. In addition, he was a member of the Institute of Medicine of the National Academy of Sciences; a fellow of both the American College of Physicians and the International Society of Hematology; and a member of the Association of American Physicians and the Society of Medical Administrators. In Maryland, he served on the Governor’s Commission on Black and Minority Health Care and the Baltimore City Commission on Health Care for the Homeless. He also served as professor of medicine at the Hopkins School of Medicine and as a trustee of both the Hopkins Hospital and University. Heyssel’s strength as a leader in his field owed much to his respect for the teaching and research arms of Hopkins Medicine, and especially to the long, parallel tenure of former School of Medicine dean Richard S. Ross, M.D. “A big, imposing, man, he also was a man of his word. You always knew where he stood on an issue, and he always did what he believed strongly to be in the best interest of the Hospital,” Ross said. Bob retired in 1992, and he and his wife (Maria) lived in Seaford, Delaware until his death in June, 2001. The Brills and Heyssels remained close friends throughout Bob;s life. 1946- 48 Central College, Fayette, Missouri. 1948- 49 University of Missouri, Columbus. 1949- 51 The University of Missouri School of Medicine, BS. in Medicine. 1951-53. St. Louis University School of Medicine, St. Louis, MO. MD degree. 1956-58 U.S. Public Health Service, Sr. Asst. Surgeon, Atomic Bomb Casualty Commission, Hiroshima/Japan. Hematology Division, and Acting Chief of Medicine. 1958-59 Fellow in Hematology, Washington University, St. Louis. 1959-61 Instructor, Medicine, Vanderbilt University School of Medicine. 1959-61 Assistant Director, Radioisotope Center, Vanderbilt University Hospital. 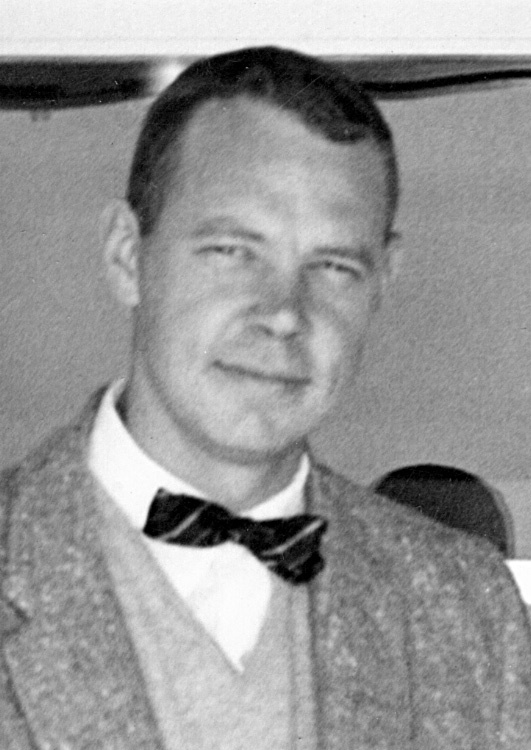 1961-65 Assistant Professor Medicine, Vanderbilt University School of Medicine. 1962-64 Director Division of Nuclear Medicine and Biophysics, Vanderbilt. 1964-68 Co-Director Division of Nuclear Medicine and Biophysics, Vanderbilt. 1968-72 Associate Dean, The Johns Hopkins University School of Medicine and Hospital Director. 1969-74 President Columbia Hospital and Clinics Foundation. 1971-92 Professor Medicine The Johns Hopkins University School of Medicine. 1983-86 President, The Johns Hopkins Hospital. 1983-92 Trustee, The Johns Hopkins Hospital. 1985. St. Louis University School of Medicine, Honorary Sc.D. Degree. 1966-92 President, The Johns Hopkins Hospital. Dr. Heyssel was a member of the National Academy of Sciences (Institute of Medicine). He retired in 1992, and he and his wife (Maria) lived in Seaford, Delaware until his death in June, 2001. Fellow: International Society of Hematology, 1958. Fellow: American College of Physicians, 1968. Member: Association of American Physicians. 1973. American Association for the Advancement of Science, 1959. American Society of Hematology, 1959. American Federation for Clinical Research, 1961. Heyssel, R., A. B. Brill, L. A. Woodbury, E. T. Nishimura, T. Ghose, T. Hoshino and M. Yamasaki (1960). “Leukemia in Hiroshima atomic bomb survivors.” Blood 15: 313-331. Heyssel, R. M. and G. R. Meneely (1960). “Ionizing radiation.” Am J Med 29: 187-192. Heyssel, R. M. (1961). “Determination of human platelet survival utilizing C-14-labeled serotonin.” J Clin Invest 40: 2134-2142. Schaeffer, E. M., K. S. You, G. W. Bounds and R. M. Heyssel (1961). “Fibrinolysis in the anterior chamber of the rabbit eye.” Arch Ophthalmol 65: 699-702. Brill, A. B., M. Tomonaga and R. M. Heyssel (1962). “Leukemia in man following exposure to ionizing radiation. A summary of the findings in Hiroshima and Nagasaki, and a comparison with other human experience.” Ann Intern Med 56: 590-609. Meneely, G. R., C. O. Ball, J. L. Ferguson, D. D. Payne, A. R. Lorimer, R. L. Weiland, H. L. Rolf and R. M. Heyssel (1962). “Use of computers in measuring body electrolytes by gamma spectrometry.” Circ Res 11: 539-548. Bozian, R. C., J. L. Ferguson, R. M. Heyssel, G. R. Meneely and W. J. Darby (1963). “Evidence concerning the human requirement for vitamin B12. Use of the whole body counter for determination of absorption of vitamin B12.” Am J Clin Nutr 12: 117-129. Jacobs, J. K., R. Burrus, R. M. Heyssel, B. F. Byrd, Jr. and J. Burch (1963). “Evaluation of draping techniques in prevention of surgical-wound contamination.” JAMA 184: 293-294. Meneely, G. R., R. M. Heyssel, C. O. Ball, R. L. Weiland, A. R. Lorimer, C. Constantinides and E. U. Meneely (1963). “ANALYSIS OF FACTORS AFFECTING BODY COMPOSITION DETERMINED FROM POTASSIUM CONTENT IN 915 NORMAL SUBJECTS.” Ann N Y Acad Sci 110: 271-281. Rogers, D. E., M. G. Koenig, M. A. Melly and R. M. Heyssel (1964). “STUDIES ON EXPERIMENTAL BACTEREMIA AND RETICULOENDOTHELIAL FUNCTION.” Trans Am Clin Climatol Assoc 76: 106-114. Koenig, M. G., R. M. Heyssel, M. A. Melly and D. E. Rogers (1965). “THE DYNAMICS OF RETICULOENDOTHELIAL BLOCKADE.” J Exp Med 122: 117-142. Liddle, G. W., R. M. Heyssel and J. M. McKenzie (1965). “Graves’ disease without hyperthyroidism.” Am J Med 39(5): 845-848. Hartmann, R. C., D. E. Jenkins, Jr., L. C. McKee and R. M. Heyssel (1966). “Paroxysmal nocturnal hemoglobinuria: clinical and laboratory studies relating to iron metabolism and therapy with androgen and iron.” Medicine (Baltimore) 45(5): 331-363. Heyssel, R. M., R. C. Bozian, W. J. Darby and M. C. Bell (1966). “Vitamin B12 turnover in man. The assimilation of vitamin B12 from natural foodstuff by man and estimates of minimal daily dietary requirements.” Am J Clin Nutr 18(3): 176-184. Koenig, M. G., R. D. Collins and R. M. Heyssel (1966). “Disseminated mycobacteriosis caused by Battey type mycobacteria.” Ann Intern Med 64(1): 145-154. Graber, S. E., L. C. McKee and R. M. Heyssel (1967). “The use of benzene phosphinic acid to prepare mixed samples of 55Fe and 59Fe for liquid scintillation counting.” J Lab Clin Med 69(1): 170-176. Heyssel, R. M., L. J. Silver, M. Wasson and A. B. Brill (1967). “The relation of blood platelet survival and distribution to 14-C-serotonin distribution and excretion.” Blood 29(3): 341-353. Glasser, S. R., C. Wright and R. M. Heyssel (1968). “Transfer of iron across the placenta and fetal membranes in the rat.” Am J Physiol 215(1): 205-210. McKee, L. C., M. Wasson and R. M. Heyssel (1968). “Experimental iron deficiency in the rat. The use of 51Cr, DF32P and 59Fe to detect haemolysis of iron-deficient cells.” Br J Haematol 14(1): 87-94. Hagstrom, R. M., S. R. Glasser, A. B. Brill and R. M. Heyssel (1969). “Long term effects of radioactive iron administered during human pregnancy.” Am J Epidemiol 90(1): 1-10. Graber, S. E., P. J. Hurley, R. M. Heyssel and P. A. McIntyre (1970). “Behavior of iron-, indium-, and iodine-labeled transferrin.” Proc Soc Exp Biol Med 133(3): 1093-1096. McKee, L. C., Jr., S. R. Glasser and R. M. Heyssel (1970). “Influence of anoxia and allopurinol on iron metabolism in pregnant rats.” Am J Physiol 218(3): 807-810. McKee, L. C., Jr., R. Price, R. E. Johnston, R. M. Heyssel, L. E. Johnson and A. B. Brill (1974). “Long-term studies of iron metabolism in normal males: comparison of red blood cell radioactivity with whole-body counter data.” J Nucl Med 15(3): 156-160.